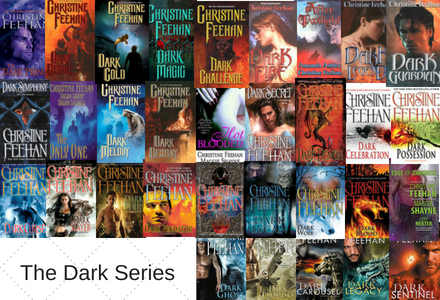 Dark Destiny is the 13th book in the Dark Series by Christine Feehan. This book starts out a bit different than the previous books. This story brings us a couple of brothers that are a part of the warriors that Vladimir sent out to protect the world. Nicolae Von Shrieder and his brother Vikirnoff. 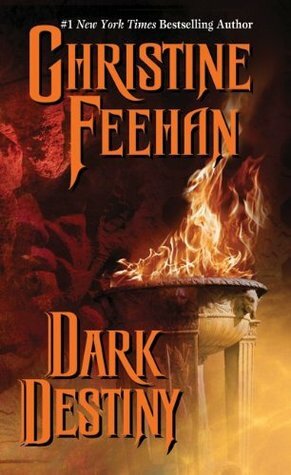 Vikirnoff gets his own story in book 16, Dark Demon. Nicolae has been following Destiny for years, since she was young. Destiny was a human child when a vampire destroyed her family and converted her. So she has always felt like there is a stain on her soul. But she happens to be Nicolae's lifemate. He just didn't know that until she actually spoke to him telepathically. 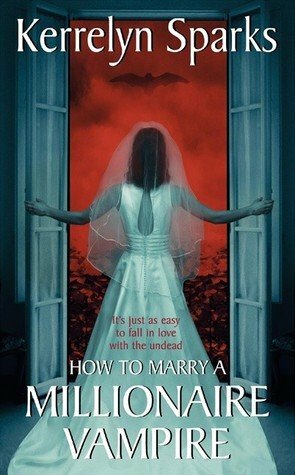 Please note this the first book where the heroine is a vampire slayer as well as the hero. 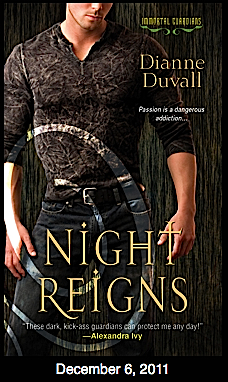 Because she was so young, and because she refused to talk to Nicolae, he had to teach her how to fight the vampires in order to survive. 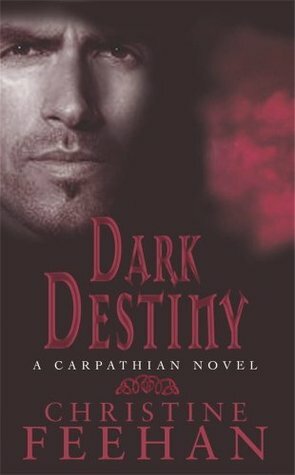 So this story starts with Destiny fighting the vampires and not knowing that there's a difference between the vampire and the Carpathian. She has a great fear for what she thinks she understands. When Nicolae finally gets close enough to her to be able to see her, she also speaks to him. That's when he now knows that she's his lifemate. But Destiny has grown up in the fires of hell. She was brutally raped and terrorized by the vampire that converted her. And because of that, she has issues that play a part in their courtship. She trusts no one and belongs to no one. But she's drawn to this one spot in California, this small neighborhood that has people that pull at the heart she doesn't think she has. So you will find this particular book has an actual problem that they have to solve. There are individuals going mad in this small neighborhood. And because it's so small, the people know that something is terribly wrong. So while Destiny has to deal with finding her lifemate and all that entails, she also has to fight the league of vampires that are bent on destroying her. And she has to find out who's at fault for these people going mad. Not only that, she has to deal with the fact that she has tainted blood flowing through her viens and she's a beacon for the vampires to find anytime, anywhere. So there are several things that they have to deal with throughout the storyline. That makes for the story to have lots of action and lots of emotional scenes that pull you in and make you feel right along with the characters. Because of her blood issues, Gregori is called in to heal her. He had just come from helping Dayan and Corinne (book 12). The tainted blood is a new thing that they, the Carpathians, are facing. So while Gregori was able to heal her, it's still an issue that they must figure out. This is where the background plot comes in. So the story does end happy. She gets a new lease on life and is accepted among the people. During the whole thing, they found that the society of people trying to kill all vampires and Carpathians alike are actively trying to find certain psychic women. This is where Vikirnoff is given the task to find one female. And of course it happens to be his lifemate, he just doesn't know it yet. 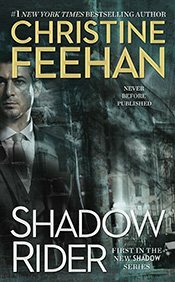 Check out his story in book 16, Dark Demon.